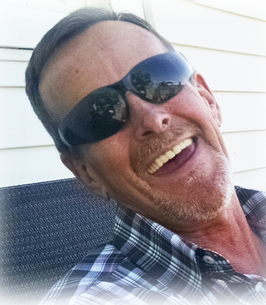 Hozie Aaron Rumfield, age 57, passed away on Monday, October 15th, 2018 in Quitman. He was born on December 12th, 1960 in Hamlin, Texas to the late R.D. Rumfield and Geneva Foster. He worked as a Brick Mason and attended the 1st Baptist of Alba Church with his daughter. He was preceded in death by his parents, R.D. and Geneva Rumfield and his sister Phayma Rumfield. He is survived by his daughter, Ashley and her husband Chris Hass of Alba; brothers, Reggie Rumfield and his wife Carolyn of Longview and Ricky Rumfield and his wife Jane of Garden Valley; sisters, Joyce Young and her husband Sammy of Quitman, Bolivia Standfield and her husband Gilbert of Tyler, Thelma Ybarra of Quitman and Rebecca Watkins and her husband Max of Grand Saline. He is also survived by two grandchildren, Ella and Finn and close friend, Debbie Glidewell. Visitation will be held on Wednesday, October 17th, 2018 from 6:00 pm to 8:00 pm at Beaty Funeral Home 5396 S. State Hwy. 37 Mineola, TX 75773. Funeral Services will be held on Thursday, October 18th, 2018 at Beaty Funeral Home at 10 am, with Rev. Kelly Burton conducting. Interment will follow at Cedar Memorial Gardens in Mineola, with Corey Rumfield, Angel Ybarra, Dustin Lavy, Jacob Watkins, Jeremy Shields, Tim Standfield, Chris Standfield, Randy Rumfield serving as pallbearers. To send flowers to the family of Aaron Rumfield, please visit our Heartfelt Sympathies Store. We encourage you to share any memorable photos or stories about Hozie. All tributes placed on and purchased through this memorial website will remain on in perpetuity for future generations. I wanted to express my heartfelt condolences to all of Aaron’s family. For right now, there’s no detour around grief, no shortcut through mourning. However, 2 Cor.4:7 says that God can give us, “... power beyond what is normal...”, to go from one day to the next. This does not mean that we no longer cry or that we forget. It means we recover. We recover because of our hope. Jesus Christ talked about our hope in John 5:28 which says, “... all those in the memorial tomb will hear his voice and come out...”. Jesus was referring to the resurrection. That is our amazing hope! The Bible likens our hope to an anchor. Just like an anchor stabilizes a ship, our hope stabilizes us and keeps us from drowning in overwhelming sadness. One way that God comforts us today is by moving people who care about us to give us words of encouragement that we need to hear. May the God of comfort be your comfort now, during this time of sorrow. For the Bible’s answers to life’s big questions please visit JW.org.